The Seibu Lions were fielding a toothless lineup early in the NPB season while Ernesto Mejia was up to his usual hard-hitting trick on the other side of the world with the Gwinnett Braves, the Triple-A affiliate of the Atlanta Braves. So, in need of a bat, the Lions reached out, and Mejia, interested in a fresh start after a long career in the minors, seized the opportunity to join the team in May. There have been a litany of similar stories in NPB through the years. Japanese teams mine western leagues throughout the year in the search for talent who can fill any holes that appear during the season or simply add depth. This year there were 13 foreign players signed by Japanese teams after the start of the season. The results have been all over the place, but three have managed to stand out among the crowd. Mejia looks more like a diamond in the rough with each passing game. The hard-slugging Venezuelan was the classic candidate for a career in Japan — a career minor leaguer who put up big numbers but for whatever reason, politics or otherwise, never got a chance at the majors. Mejia has been an instant hit in Japan. He’s tied with teammate Takeya Nakamura for the most home runs in the Pacific League with 29 while also hitting .301 with 61 RBIs in 83 games. 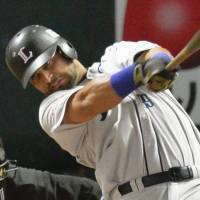 Yulieski Gourriel has been nearly as good for the Yokohama BayStars, albeit over a much shorter period. Gourriel was the second Cuban player to come to Japan (the Yomiuri Giants’ Frederich Cepeda was the first) after his government relaxed the rules regarding its athletes playing professionally abroad. Gourriel had only played in 36 games through Friday, he lost nearly a month to an injury to his side, and was hitting .347 with eight home runs and 21 RBIs. The Chiba Lotte Marines’ Alfredo Despaigne, another Cuban import, had only played 25 games through Friday, but had hit seven homers and driven in 18 runs in 92 at-bats. Midseason acquisitions are a hit-or-miss proposition. Because the year is already in full-swing, they often have to start swimming in the deep end right away without the luxury of an extended time to acclimate to Japan. Teams that need these players to contribute right away, don’t always show a lot of patience and slow starters sometimes end up banished to the farm or the bench, never to be seen by that organization again. Some manage to get it right long enough to build some equity with their new team. The Hiroshima Carp’s Brad Eldred was in this category in 2012. He was brought back the next season and helped lead the team to the Climax Series in 2013, and had a MVP-caliber first-half this season. Mejia could turn out to be the same type of force for Seibu. The team’s chances at the postseason dried up long ago, but the Lions could do worse than having Mejia in their back pocket when 2015 rolls around. 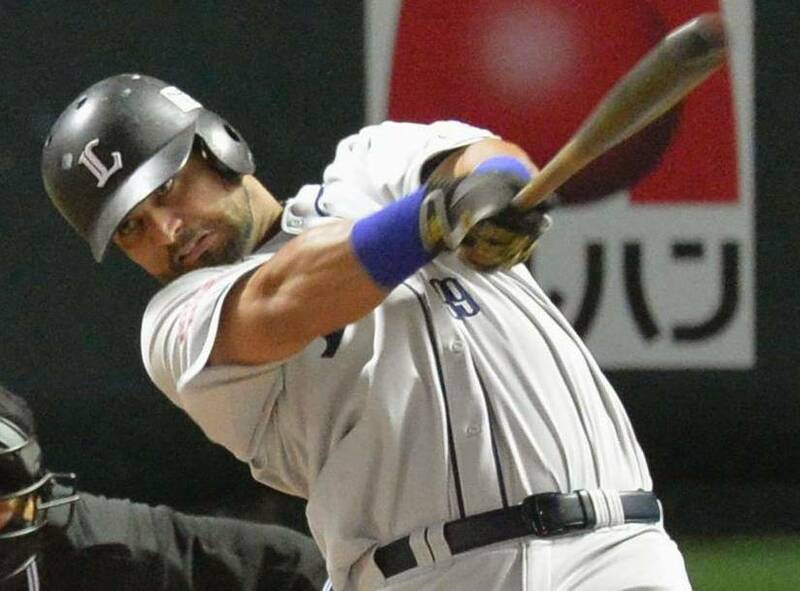 While there are other issues in play at the governmental level for the aforementioned Cubans, the BayStars and Marines probably have their fingers crossed that they struck rare gold in the NPB’s midseason lottery. Double trouble: Shohei Otani’s contribution as a two-way player for the Hokkaido Nippon Ham Fighters was muted last season. The Fighters let their prize rookie loose in the field and the lineup from Day One, but kept kid gloves on him from a pitching standpoint. The training wheels have mostly been off this season. Otani has been pulling double duty all year and putting together a campaign to remembered in the process. The 20-year-old hit his ninth home run of the season on Friday night and currently has a .281 average and 31 RBIs to go along with his cadre of longballs. Otani is 10-4 with a 2.46 ERA on the mound. One more home run would give the young star a rare double of 10 home runs at the plate and 10 wins on the mound. Rough patch: Hiroshima Carp pitcher Kenta Maeda was regarded by many as the best in Japan when the season began. Despite being slightly outpitched by Orix Buffaloes ace Chihiro Kaneko, Maeda has more or less put up the numbers expected of him, with only a few knocks along the way. The Carp ace is currently mired in a dismal stretch of play. He’s 1-4 with a 6.11 ERA in his last five starts. Maeda failed to make it even out of the fourth inning twice over that span, the only two such instances among his 22 starts this year. It’s a bad time for Maeda to be coming up short for Hiroshima. The Carp will need him for the stretch run in the CL, which is crowded at the top. Hiroshima entered Saturday three games behind the first-place Yomiuri Giants and just a half-game ahead of the second-place Hanshin Tigers. So they’re very much in the hunt for the pennant, and will count on Maeda, a former Sawamura Award winner, getting things turned around quickly. Got the message: Hanshin Tigers pitcher Randy Messenger struck out Tony Blanco to begin the visitors’ half of the eighth inning during the Tigers’ 3-2 win over the Yokohama BayStars on Tuesday to record his 200th strikeout of the season. That put him in exclusive company as just the second foreign pitcher to strike out 200 in a season. The last to do it was Gene Bacque, a former Tigers great who fanned 200 in 1964 en route to becoming the only foreign recipient of the Sawamura Award. The Hanshin pair didn’t remained tied for very long. Messenger struck out the very next batter he faced to put his total at 201 . . . and counting.